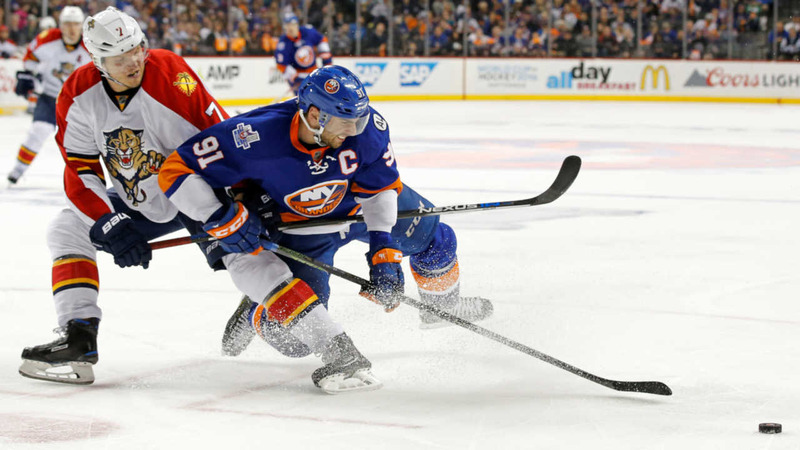 NEW YORK -- John Tavares tied it in the final minute of regulation and got the winner at 10:41 of the second overtime, leading the New York Islanders past the Florida Panthers 2-1 Sunday night and into the second round of the playoffs for the first time since 1993. Thomas Greiss finished with 41 saves in the teams' second straight two-overtime game and third in the series to go past regulation. The Islanders won Game 3 here 4-3 in the first extra period, and took Game 5 in Florida 2-1 at 16 minutes of the second OT. Jonathan Huberdeau scored late in the first period for Florida.